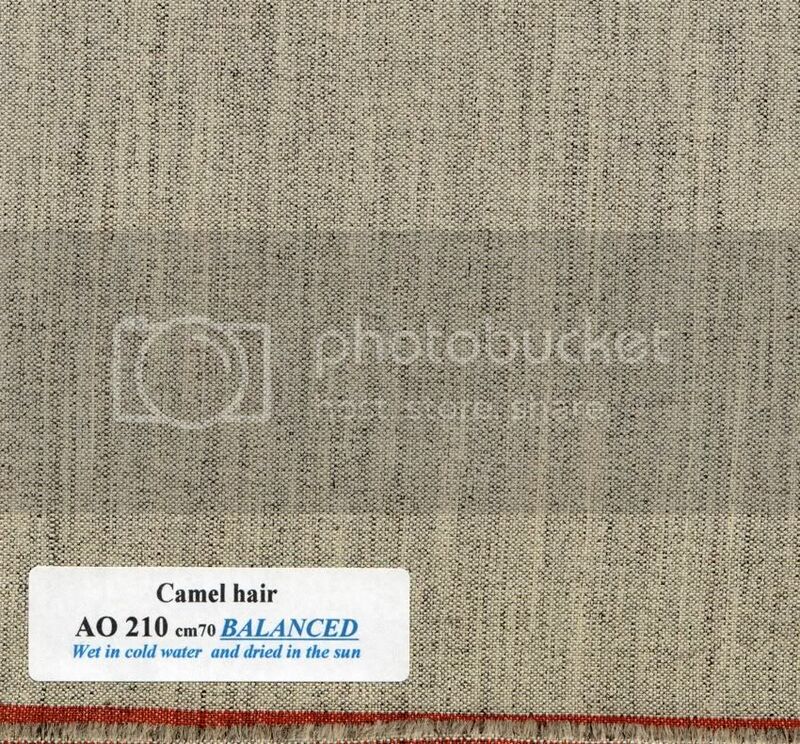 In this review, we will be looking mainly at the camel hair based body canvasses from this firm. 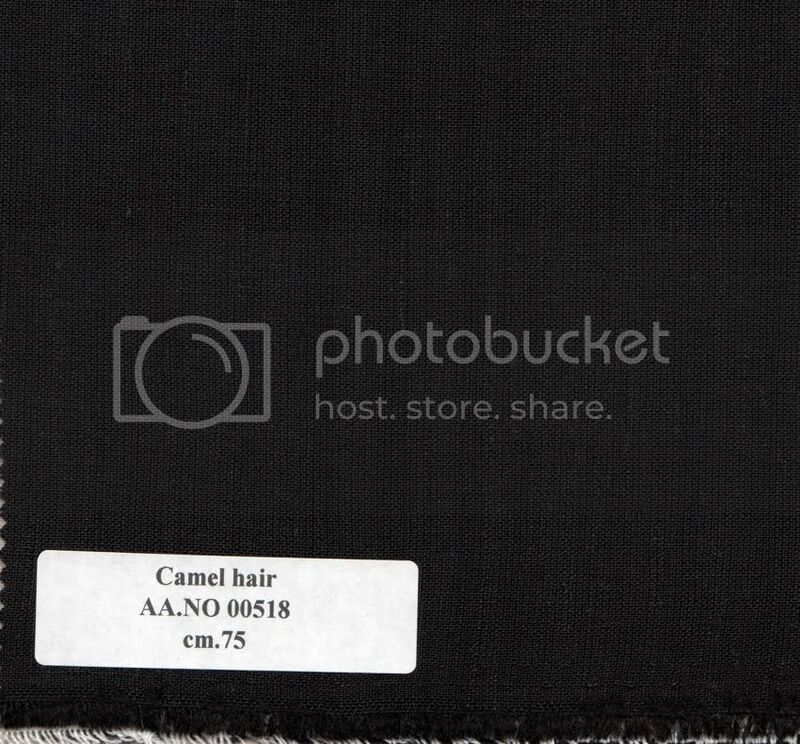 However, there are one or two horse hair chest canvasses amongst the selection, which would be worthwhile including. They feel that the main strength of their canvas selection is that they are woven to be balanced. This means that if you wet them and then allow then to dry out they will undulate but never curl up. I take it this means that the amount of shrinkage in warp and weft remains balanced. The first one has a fairly solid weight of 320 gr.mtq. 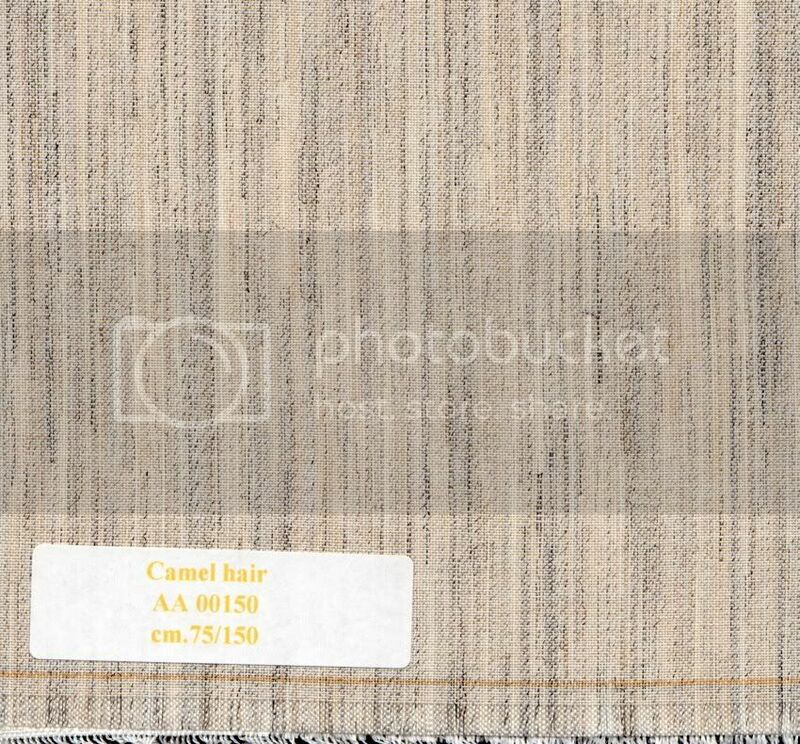 WARP 100% WOOL weft 80%wool 20%hair. The next one feels weightier, and a bit springier, but is in fact less at 303 gr.mtq. 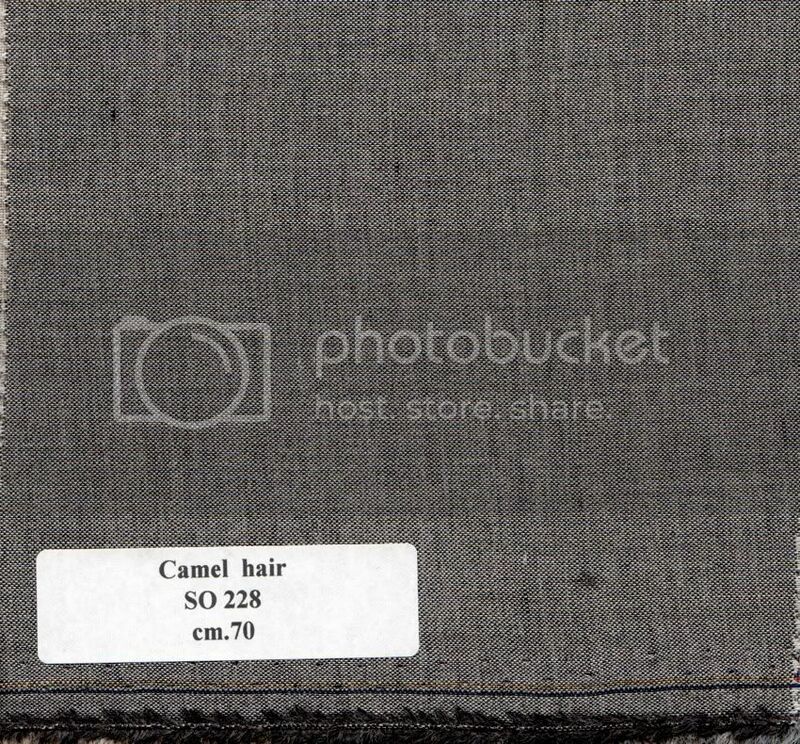 WOOL 43% HAIR 10% VISCOSE WOOL 47%. The NASA 00140 is softer and weighs 210 gr.mtq. Viscose wool 40% wool 60%. The AO 210 is more stoutly woven at 295 gr.mtq. 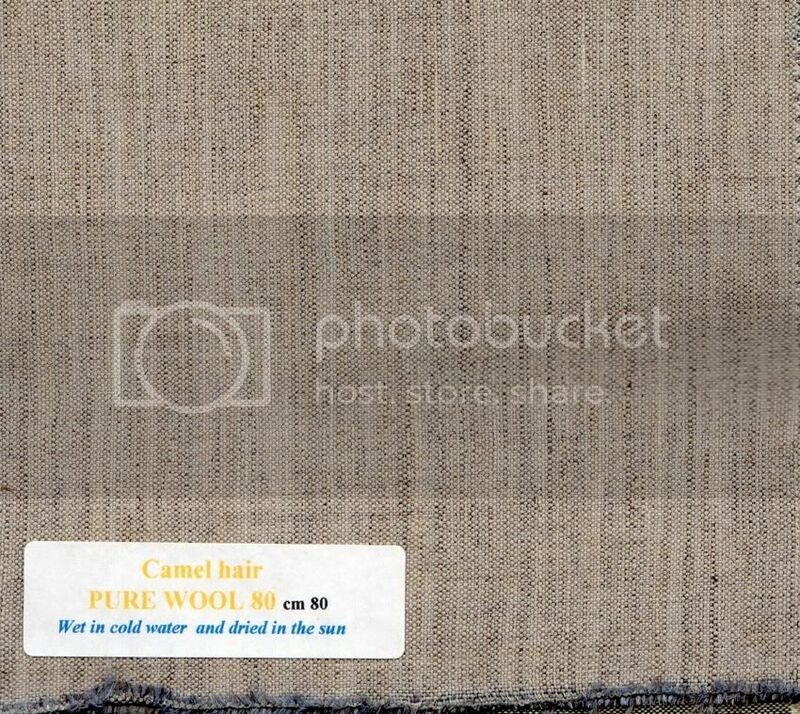 WOOL 35% 15% HAIR 50% VISCOSE WOOL RAYON. The AO 210/2003 is its softer cousin. 240 gr.mtq. WOOL43% HAIR13% VISCOSE WOLL RAYON44%. The AO 2005 feels very similar but a tad lighter and softer still. I haven't been given the exact weight and composition for this one. 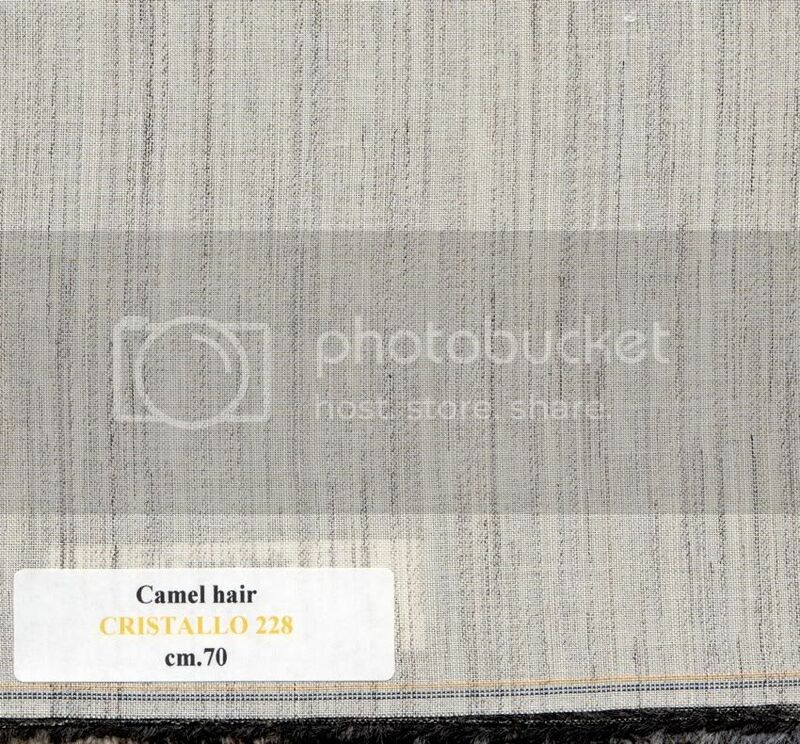 Cristallo 228 is a soft and of feather light tropical weight at only 150gr.mtq with some cotton in it. WOOL30% VISCOSE60% COTTON10%. SO 228 is extremely soft and of feather light tropical weight at 155 gr.mtq but feels even softer in the weave that the Cristallo version. WOOL30% VISCOSE60% COTTON10%. SE SA 503 is another canvas that will give a more structure feel to a coat. It also has a very slightly bristly finish to help it grip the cloth. 275gr.mtq. 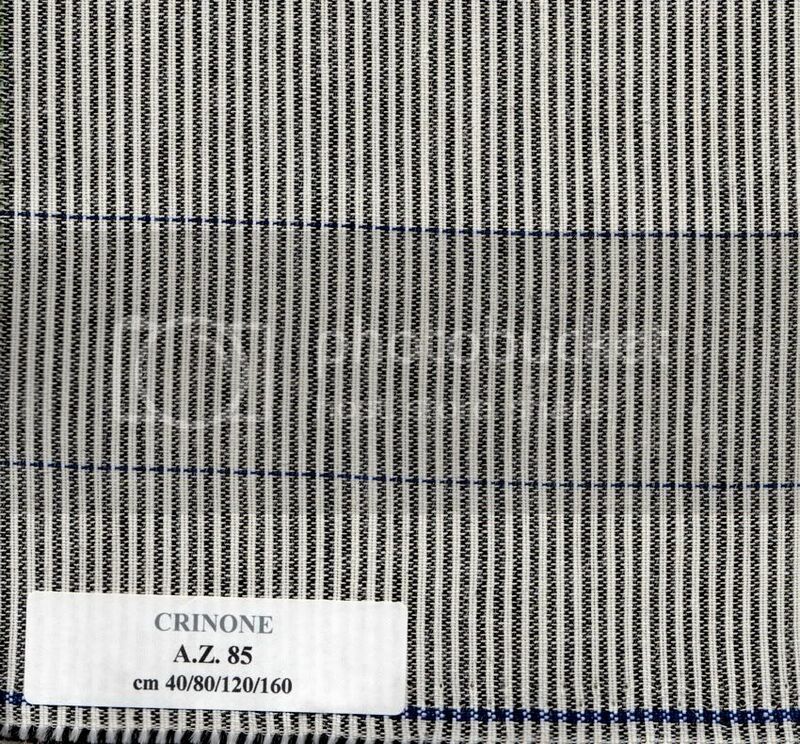 PURE COTTON30% RAYONVISCOSE56% HAIR14%. There is also a light version of the same weave. 205 gr.mtq. 30%PURECOTTON 60%RAYONVISCOSE 10%HAIR. AA.NO 00518 is 260gr.mtq. 30%purecotton 56%rayonviscose 14%hair. 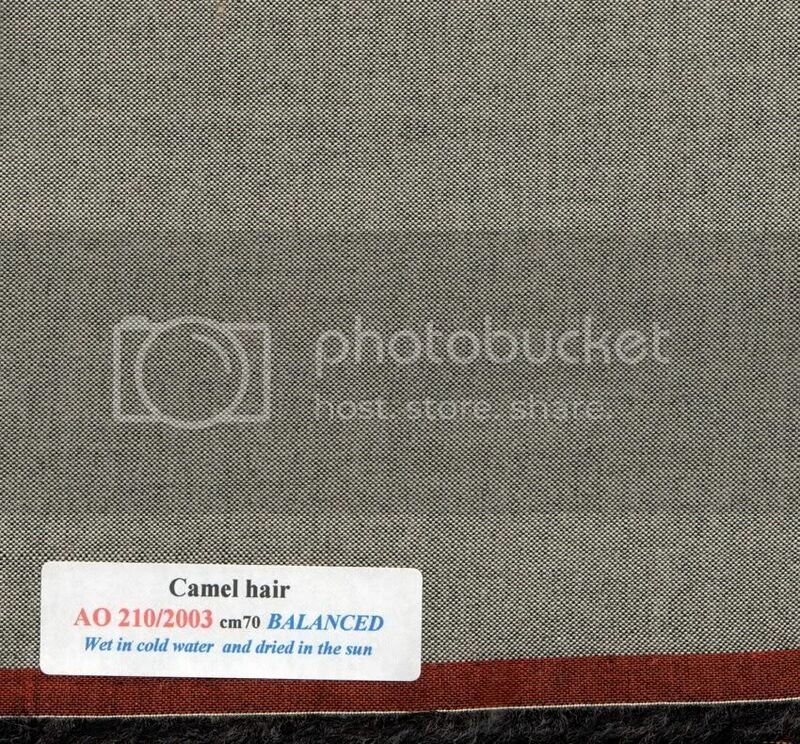 CO 625 is another much ultra soft and feather weight canvas. 145 gr.mtq. 42%pure cotton 56%viscose wool 2%hair. The Monterosa remains soft and light but still has some body to it. 160 gr.mtq. 42%pure cotton 56% viscose wool 2% hair. 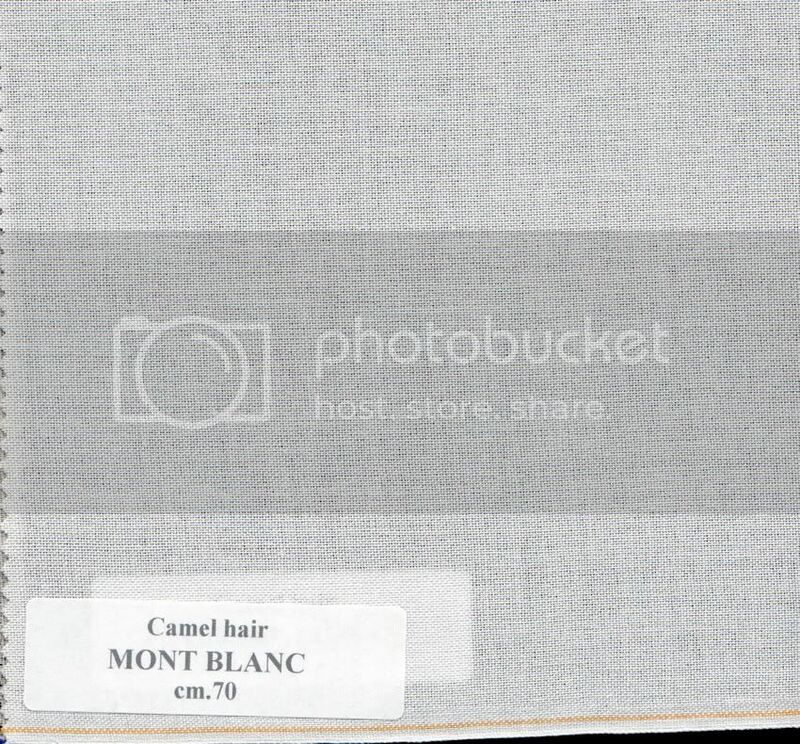 The Mont Blanc is another ultra light canvas. 145gr.mtq. 40%pure cotton 58% viscosewool 2%hair. 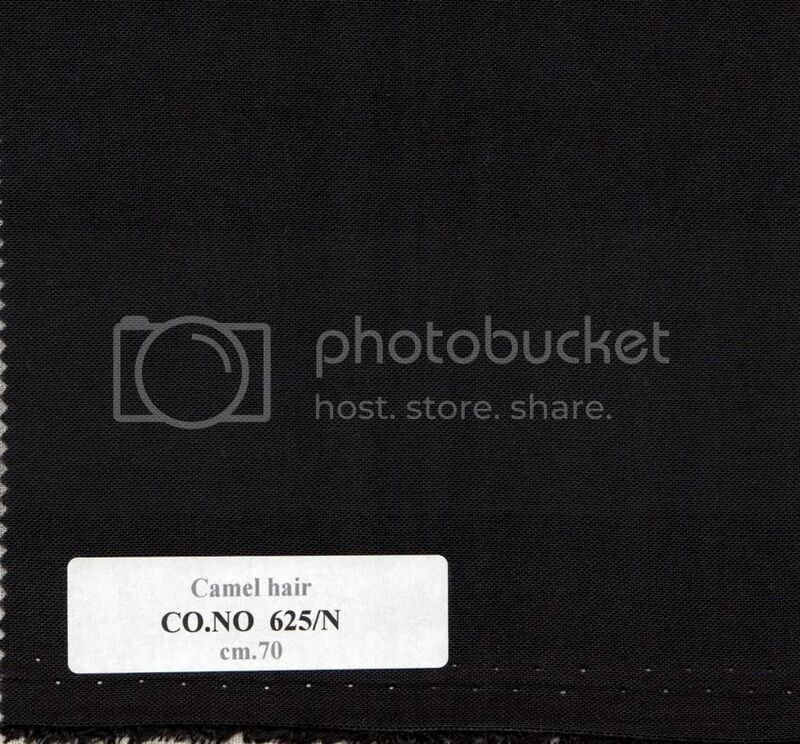 The CO.NO 625/N is another variation on the soft canvas, but dyed black. 155 gr.mtq. 42% purecotton 56%viscose wool 2%hair. 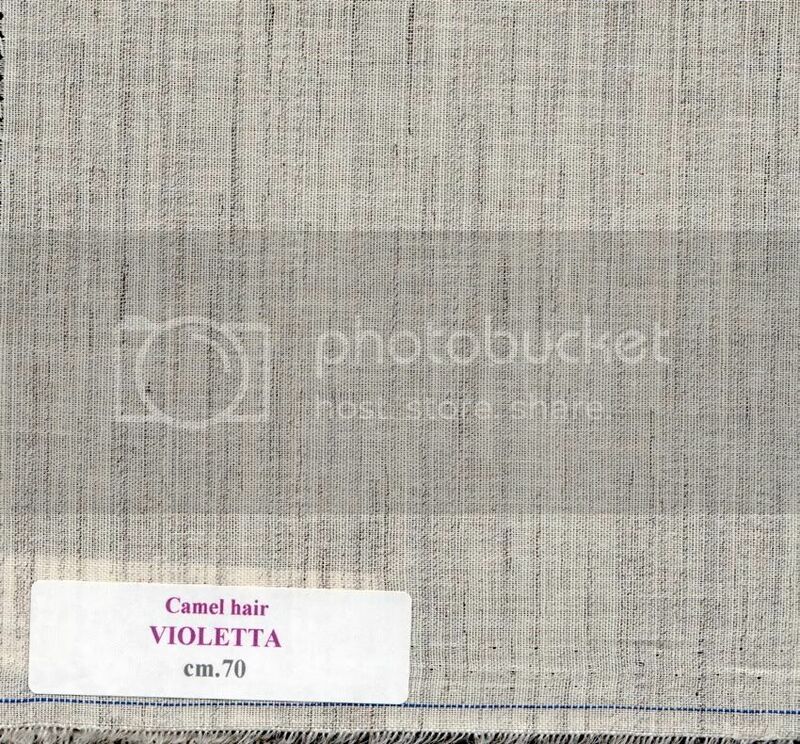 The Violetta is has just a touch more hair and less cotton to give it tag more spring while remaining ultra soft. 145 gr.mtq. 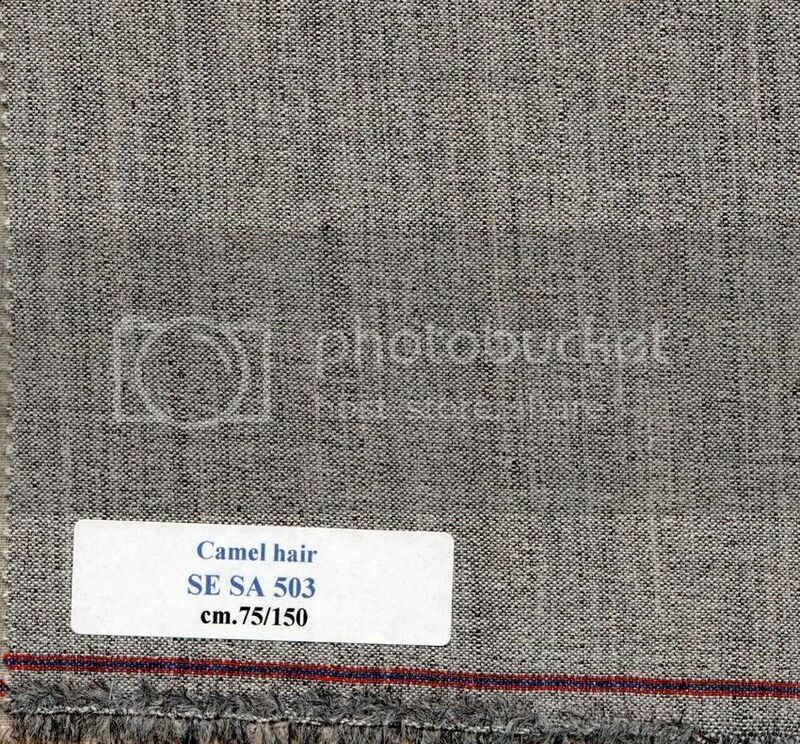 30%pure cotton55%viscose 5%hair10%rayon. 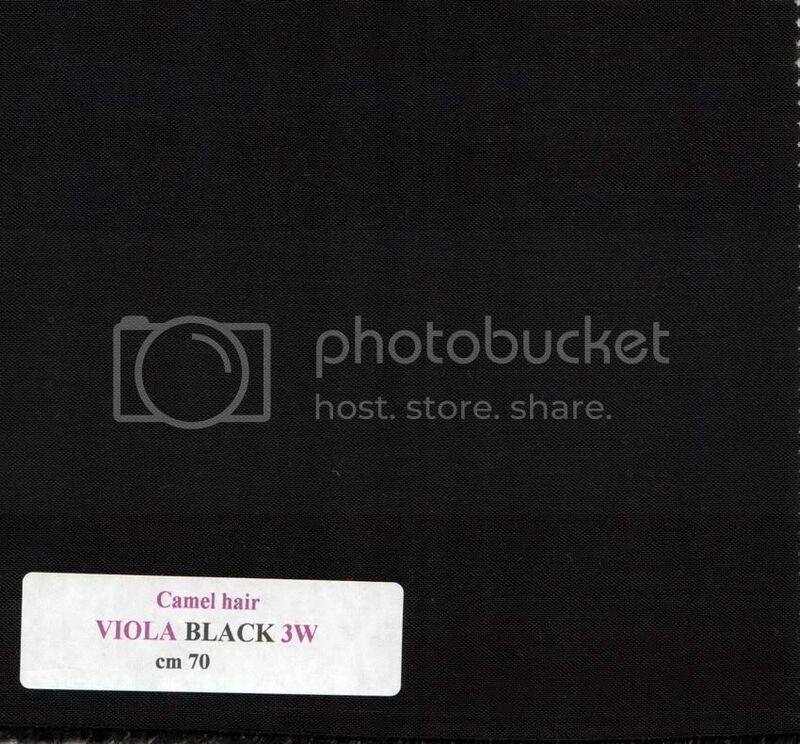 The Viola Black is the softest and lightest of them all at 125 gr.mtq. 40% pure cotton 57%viscosewool 3%hair. 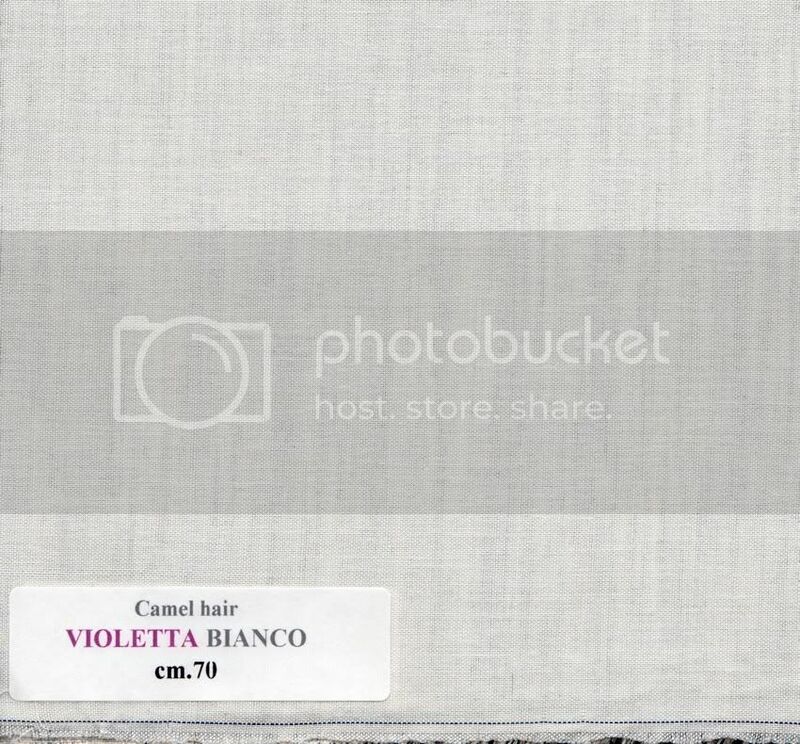 It also comes in a white version called Violetta Bianco. 125 gr.mtq. 40% pure cotton 57%viscose wool 3%hair. The Lilla' is a bit more substantial at 175gr.mtq, but with a lot more hair content to give it spring. 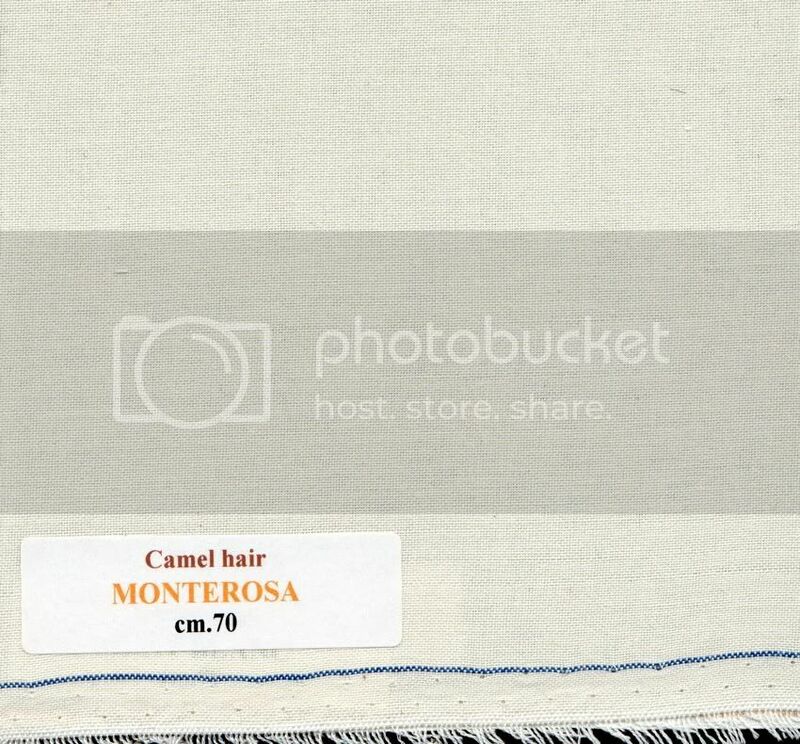 40%pure cotton 46%rayonviscose 14%hair. The Crinone AZ 85 feels like it is probably meant to be used as chest canvas, although available in widths suggestive of heavy body canvas. It has a weight reminiscent of Hänsel Orange or Laptair. However it has a totally different weave and is much more impressively springy . Unfortunately, I have not been given the exact weight or fibre content. 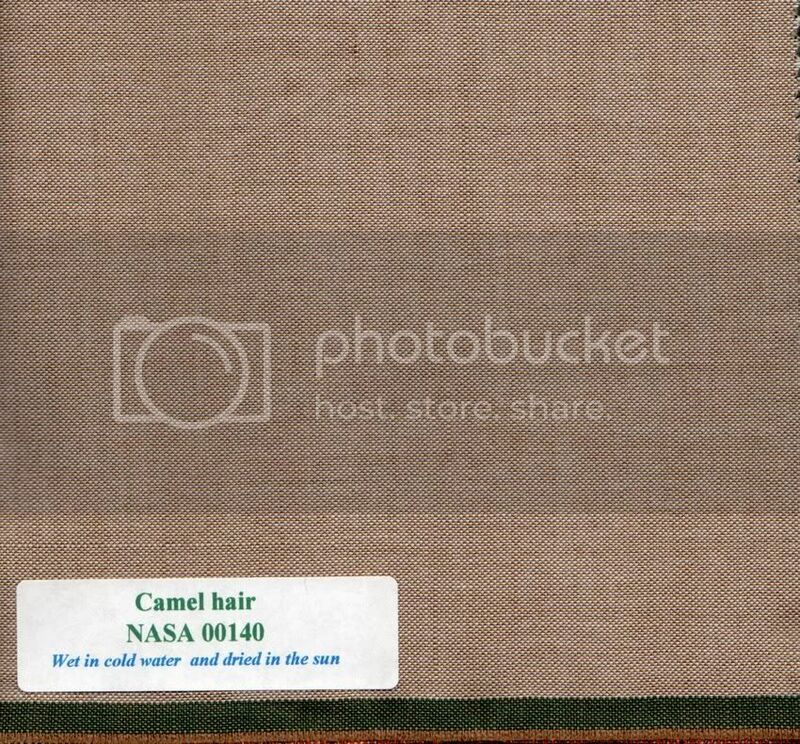 However, the springiness of the canvas suggests a high hair content. 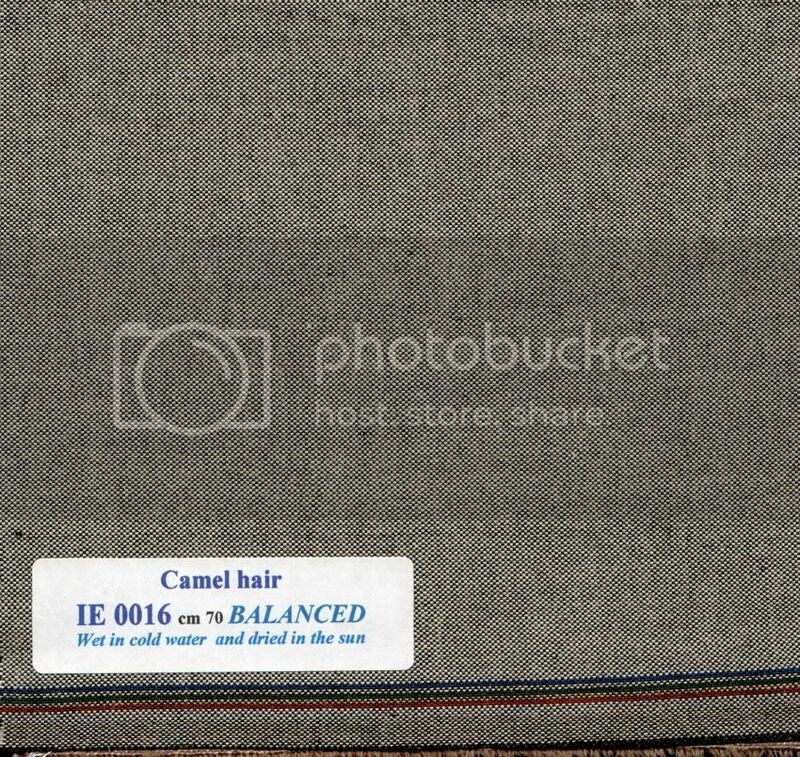 Last comes the type of chest canvas that in German is called Fachrosshaar (specialty horsehair). This is one of the most impressively springiest and meatiest of this type of chest canvas currently available. 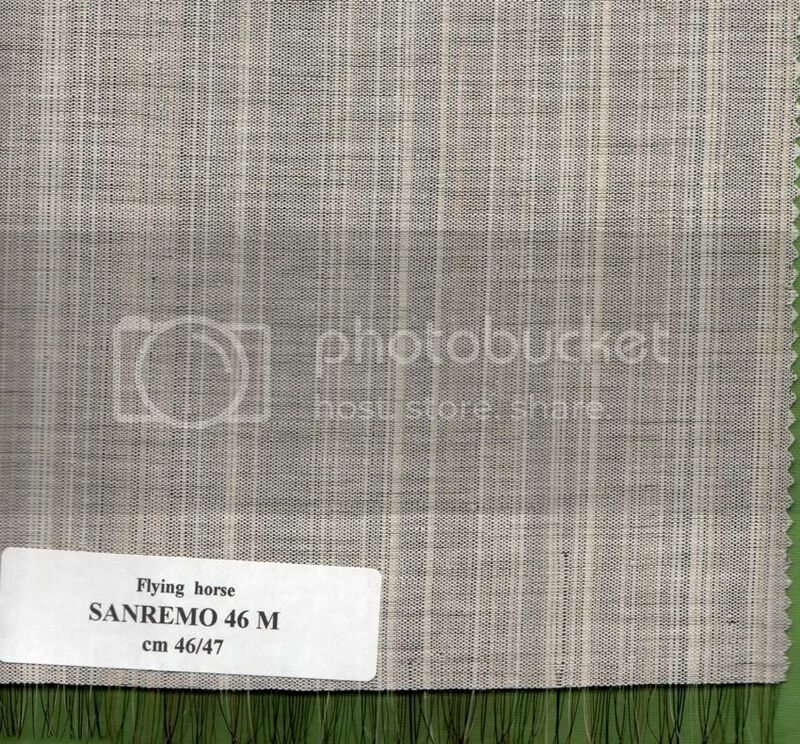 140 gr.mtq, cotton 57% horse hair 43%. All in all the wide selection and variety is impressive. There should be something here to keep everyone happy. Another thread on linen canvasses will shortly follow as well as another thread on their linings. What is the price range (in general)? Some of the canvasses resemble those offered by the Orag, Munich, so I would be able to compare. I am afraid I have not been provided with a list of costs as yet. Perhaps others could inquire about pricing and report back. Please mention that you read about Gilt Edge Suiting here, if only to encourage them to participate in the forum. 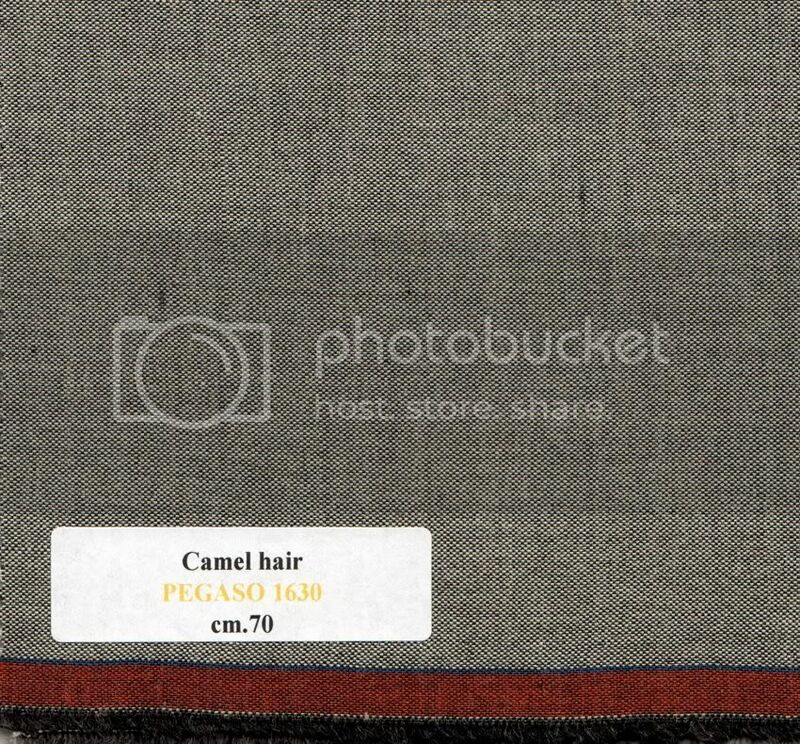 BTW one more thing, the horsehair chest canvas (Fachrosshaar type of weave) offered by Gilt Edge Suitings is much springier and heavier than the very soft and light version offered by Orag. 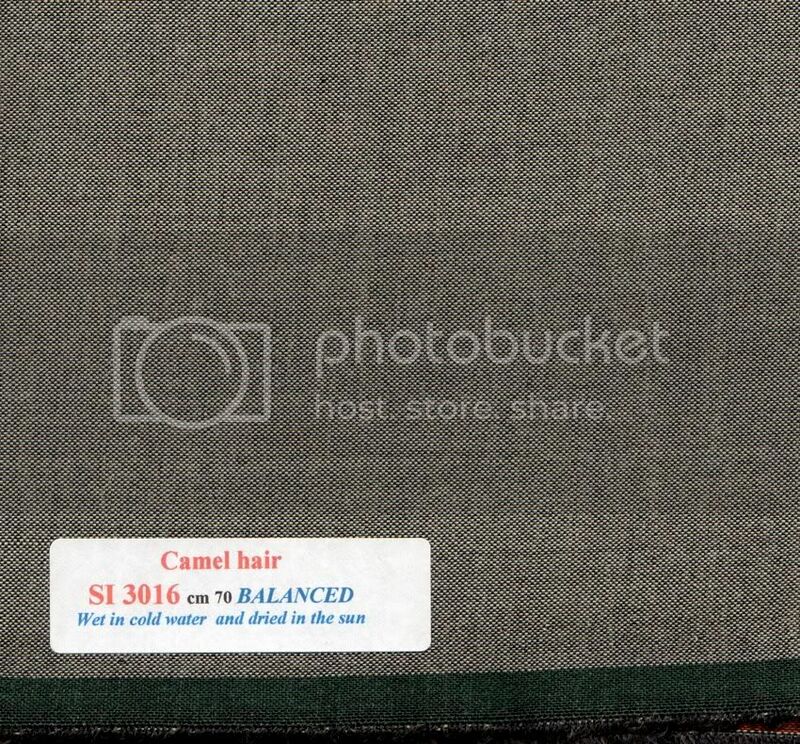 I am also not aware of any haircloth elsewhere with as high a hair content as 48%, which is very impressive. The Orag version probably has a similar hair content to the softers ones from Richard James Weldon, which have a hair content around 30%. 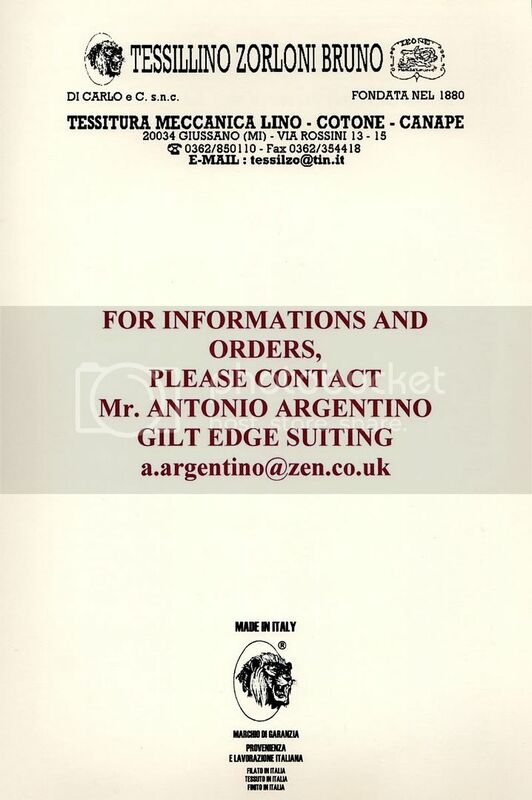 I also understand that Gilt Edge Suitings are also the makers of everything they sell, rather than just being sellers. Some of this looks off-bais. It is probably just the photgraphing that gives it that appearance. Cloth or canvas that is truely off-bais is to be avoided. I had a good phone conversation with Antonio yesterday. According to him, his firm is about the only one left still weaving canvas in Italy. All of the other firms have long gone out to places such as Rumania or China. Although this is common knowledge already, manufacturers in China often use chemicals that have been banned in the EU and traces of what are classified as toxic compounds can be found on the finished products. I have heard that some of these are classified as carcinogens. In many cases, "Italian canvas" these days too often means that the firm is Italian but has moved its mills overseas. The downside of weaving in Italy is expense. As a result very few merchants stocks their products, because once they add on their own mark up, it becomes expensive enough that most regard the pricing to be uncompetitive. However, when buying from Gilt Edge you are buying directly from the makers. Most of the stuff stocked by well known trimming merchants comes from places like China. Apparently, the particular strength of the Italian woven canvasses from Gilt Edge is that it is woven to be balanced. This means that every yarn that is woven with a twist to the right is balanced out with one given a twist to the left. The canvasses are further soaked in water and sun dried. The shrinking process that the canvas undergoes is rigorous enough that tailors reportedly find little shrinkage. This, in combination with the balance weaving process, ensures that you don't encounter the problem of crinkled warping in the canvas from unequal shrinkage in warp and weft. 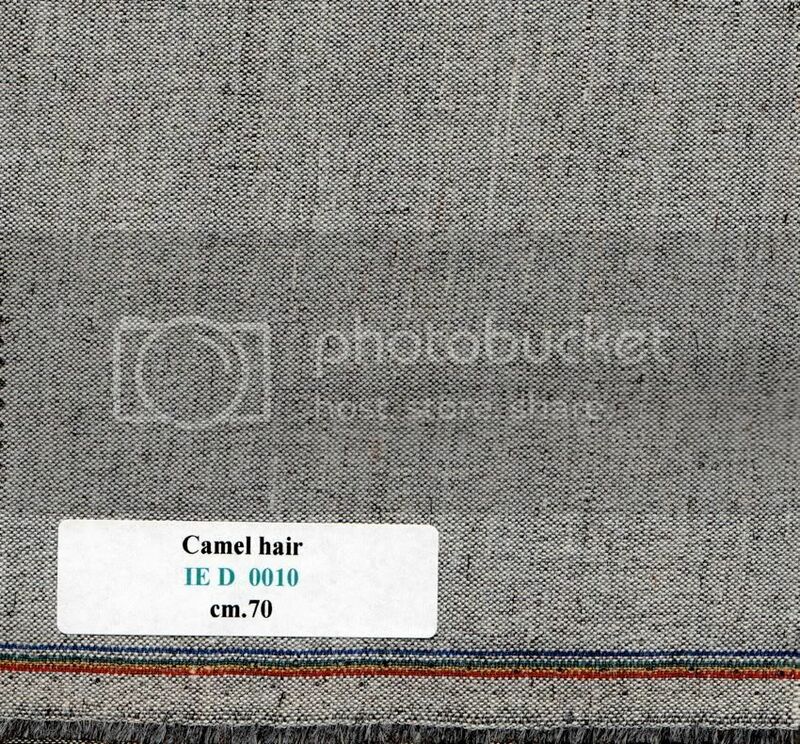 We rarely scrutinise the weave and origin of our lining products such as canvas in the same way that we do cloth. Given that the canvas forms the scaffolding and foundations of a garment, there is every reason to be even just as particular, if not more so, about where our canvas comes from and how it is woven. 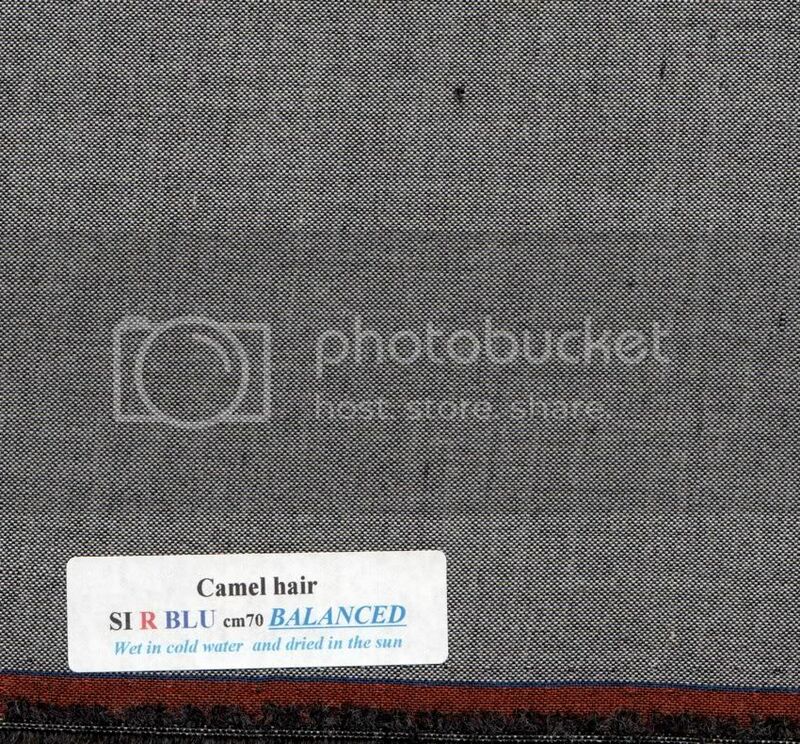 Certainly those tailors who are looking to only use the finest products for their suits should definitely take a look at the canvasses from Gilt Edge. The range of canvasses are excellent, and there is bound to be something in there that will peak your interest. After having thumbed through the above swatch book on quite a number of occasions, I am finding the products extremely promising. I should mention that I have not yet used anything from Gilt Edge yet but I have just put in an order for several different canvasses in varying weights to try out. I will certainly report back in due course. I know there are also fusers amongst us ( ) and for those I will probably put out a scan of their fusibles at some point. 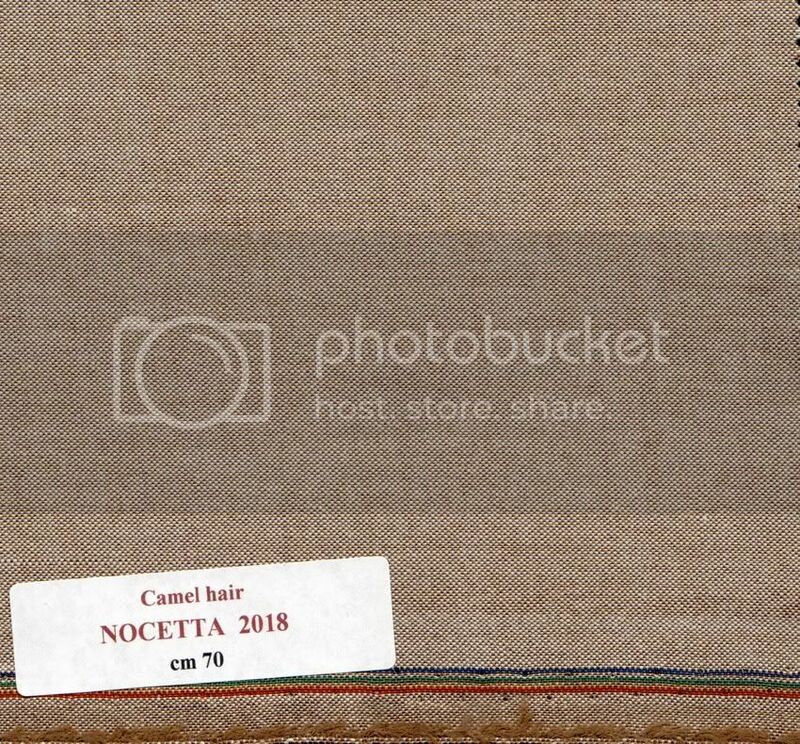 They also have a nice selection of waist banding canvas, cupro Bemberg inner linings (which they weave themselves from the buds of cotton after the cotton has bee removed from them) and domette. The choice of Bemberg linings is few, and expensive, but high quality. A couple of additional comments and new information (I have updated the opening post too). 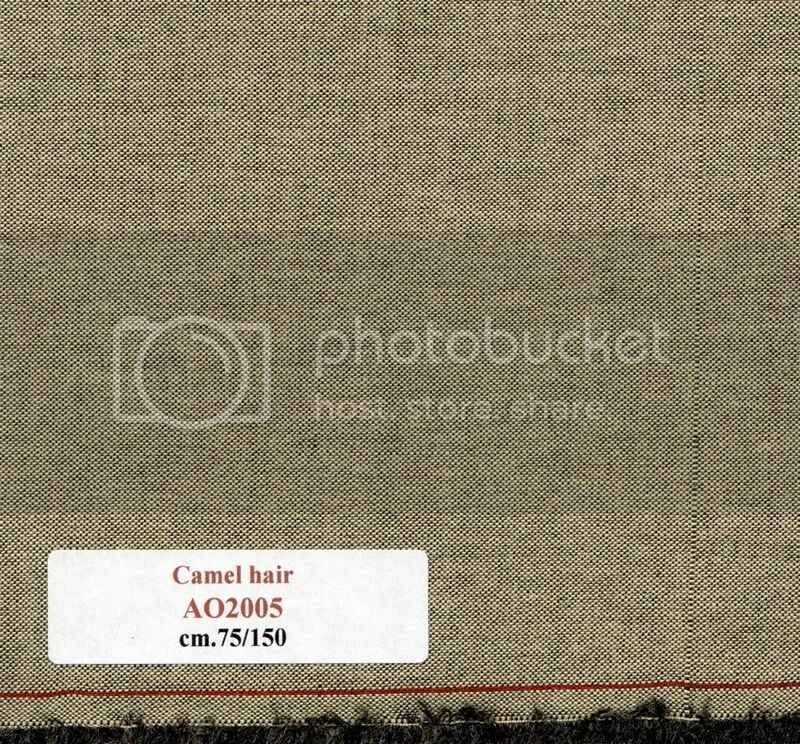 The wool blend camel canvasses hardly shrink at all, as would be expected from a canvas that has been well pre-shrunk in the sun in the old fashioned way. 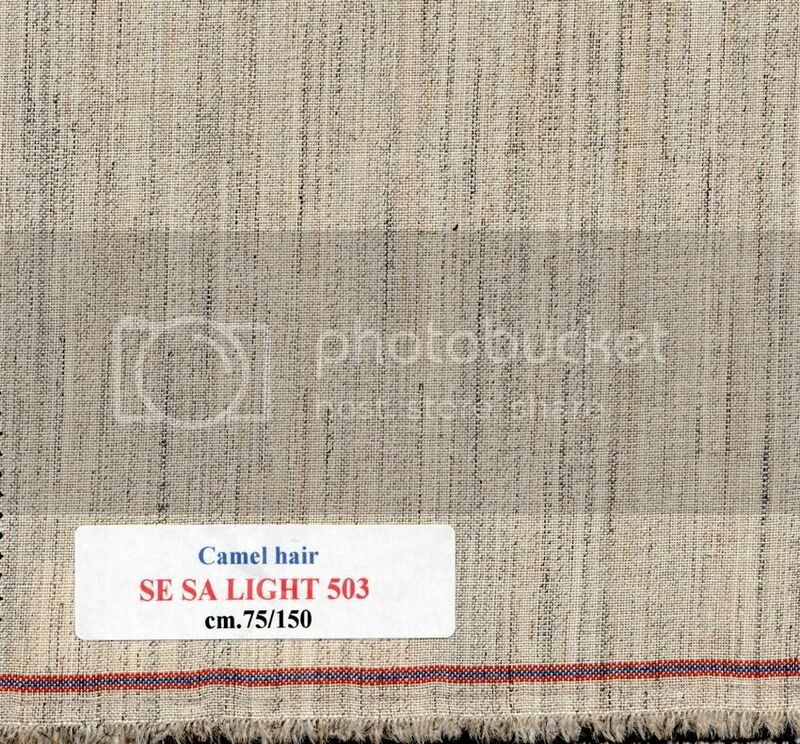 The wool/camel canvasses are very nice, as are the wool-linen blend ones and can recommend them highly. I am starting to preferentially use Tessillino Zorloni Bruno canvas to those from other sources. I have ordered several lengths of a selection of different canvasses from them. One opinion expressed about the canvasses containing cotton is that they do shrink and warp a little when you wet and steam iron them. I purchased some cotton blend canvas and found that I could get it to easily shrink, so I wetted it and then steam ironed thoroughly for future use. I guess this is just the nature of cotton. None of the cut lengths I have so far received are woven off bias (nor for that matter are the samples). 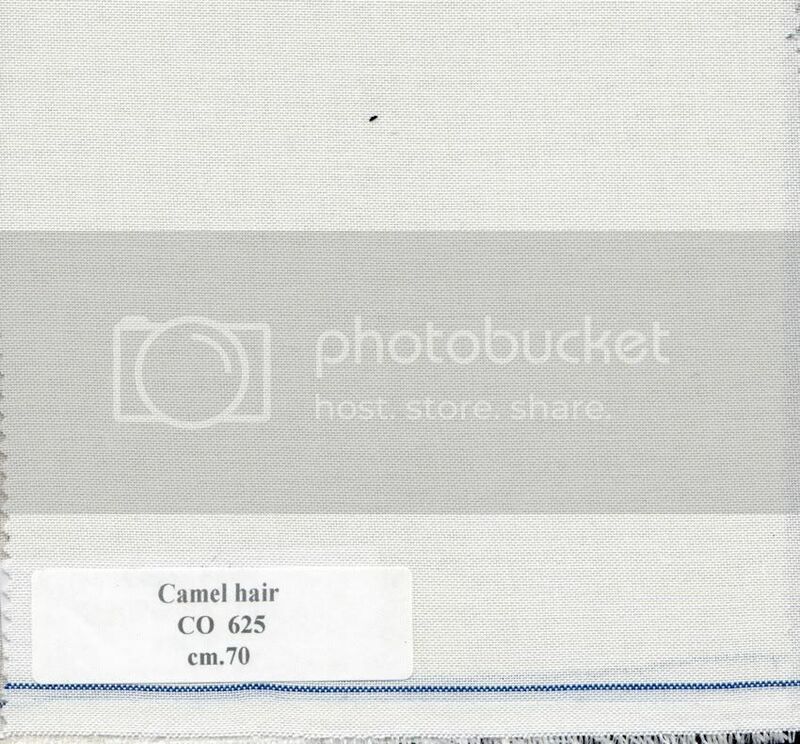 A small sample can easily twist as it is being scanned (it tends to get squashed on the scanner). BTW I pay full price for everything I receive. I am not paid to say anything nice about this company. All reviews are fully independent. In future I will post more feedback from experienced gained by using more this canvas. I wanted to order Lilla 175g from Gilt Edge, but shipping up to 5kg from UK to Europe or USA cost about 74Euro, ridicolous. Shipping is from Italy, and I paid between 20 to 35,- Euro to Germany, depending on the weight of the parcel. Even with high(er) shipping costs it's still cheaper than buying something similar from the ORAG in Munich, Bavaria. Just ask the main office in Italy if there is an agent in the USA. I was talking to Antonio, going to buy there. Edited by Der Zuschneider, 28 February 2014 - 03:40 PM. Have you purchased yet? I've got a project I want to start soon and I wonder what the costs are like. 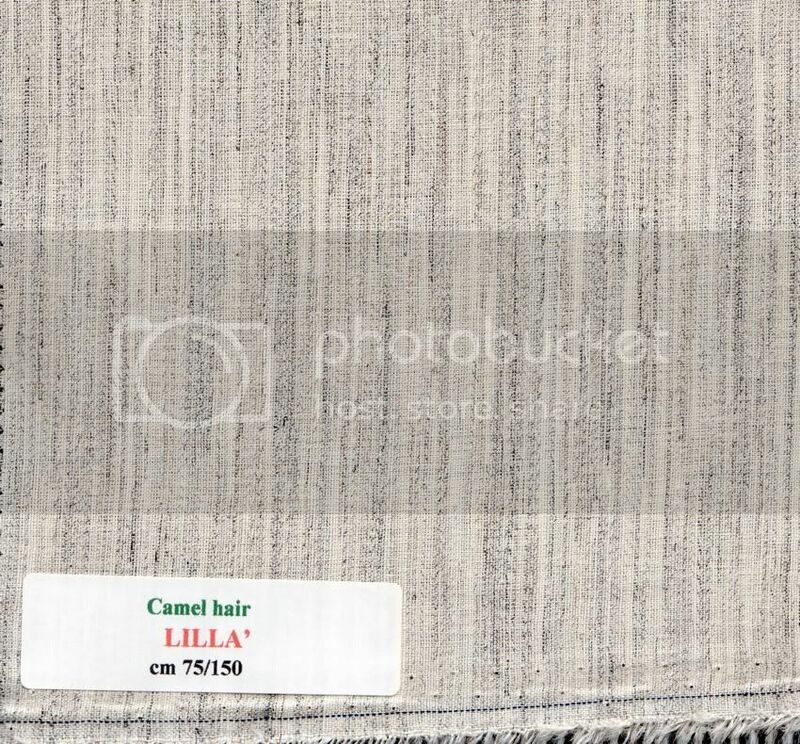 Looks like Lilla could be the best, is substantial, but I like it more strucktured. Now I know how the English tailors work so soft that lapels flutter in the wind like a handkerchief. Edited by Der Zuschneider, 01 April 2014 - 07:02 AM. Is there a US agent? Do they send small samples of their ranges? What are the prices like? Thanks for the answers. 5kg from UK is 80 Euro and from Italy 145 Euro and from Germany 10kg for 40 Euro. Edited by Der Zuschneider, 02 May 2014 - 03:05 AM. Yeah, I sent an email too and never heard from them. A website would be invaluable to them if they wanted to expand their presence/business. Maybe they don't choose to or don't need to expand. Oh well. . .